I don’t know why this small pink bunny rabbit (or teddy bear?) was positioned on a front yard wall somewhere in Daita, Setagaya-ku. 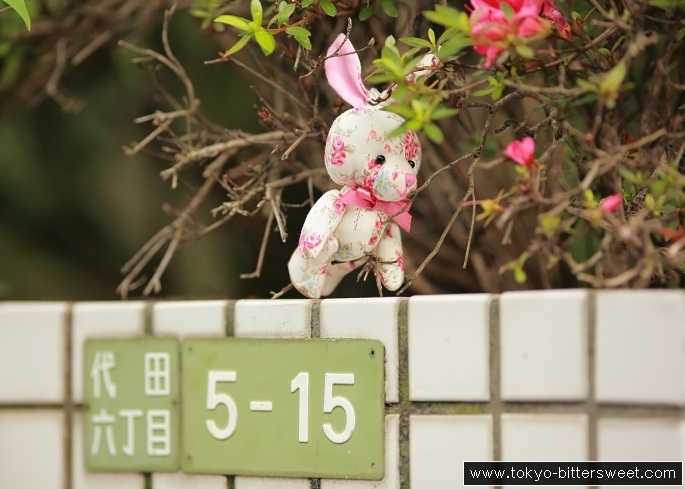 But the stuffed toy matched aesthetically very well to the pink flowers and white tile wall, so I had to take a picture of it.